This is a drastic departure from what we’ve come to expect on Club Nintendo, in terms of Gold/Platinum rewards. Previous Elite Status rewards were always physical and included desk calenders, playing cards, posters, official soundtracks, and more in recent years. 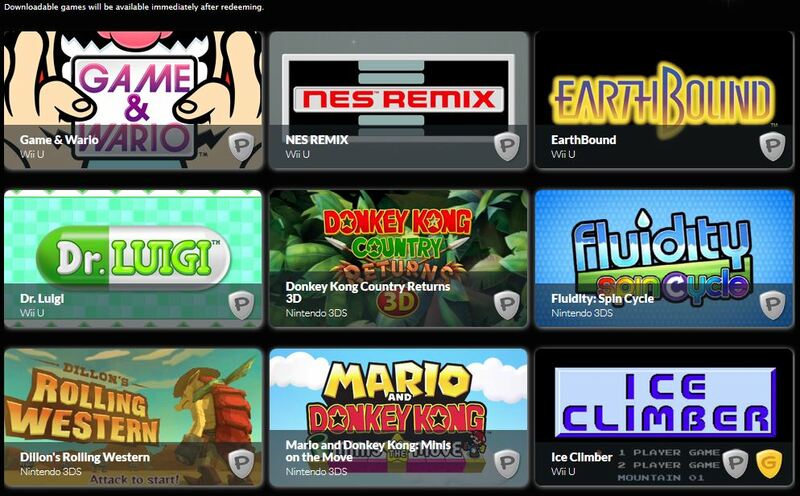 Club Nintendo has offered digital games as normal rewards for a while now, but this still comes as a surprise to me. And it’s not exactly a happy surprise. Club Nintendo should be about exclusive, physical goodies that fans will collect and cherish in a way they don’t necessarily cherish their game collection. This move combined with Club Nintendo’s currently poor selection of regular physical rewards has me worried. What are your thoughts on the subject? Leave your comments below. Thanks to Anthony DeVirgilis for the tip. Written by: Holly Fellmeth on July 16, 2014. 3DS might not launch in 2011, Reggie Mistaken?